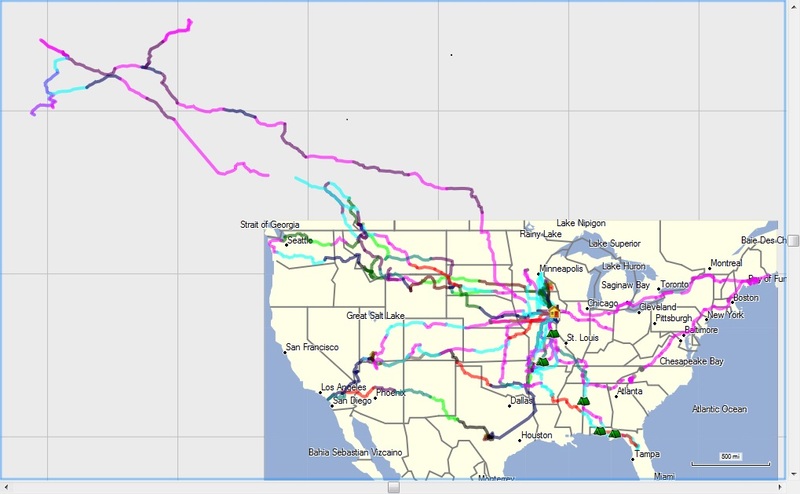 Do any of you keep a GPS track log of your Model T travels? I would love to but don't know how to do it, Explain to me how, I have a Garmin Nuvi 50. It looks like you have hit every state, but not every province. Need to head up to the great NE part of Canada. PEI is waiting for you. 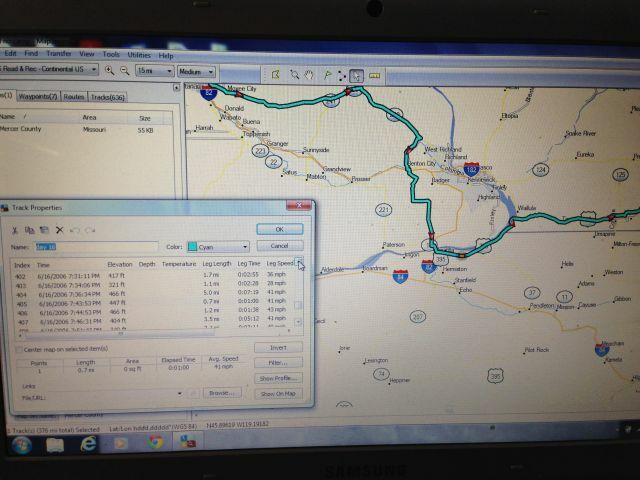 Dean, I keep a driving log of all our drives, long and short but not a GPS yet. We just purchased a GPS or a Magellan unit and will start to chronicle it. We have a picture of our T sitting in front of the sign that has 66* 33' on it on the Dalton Highway. 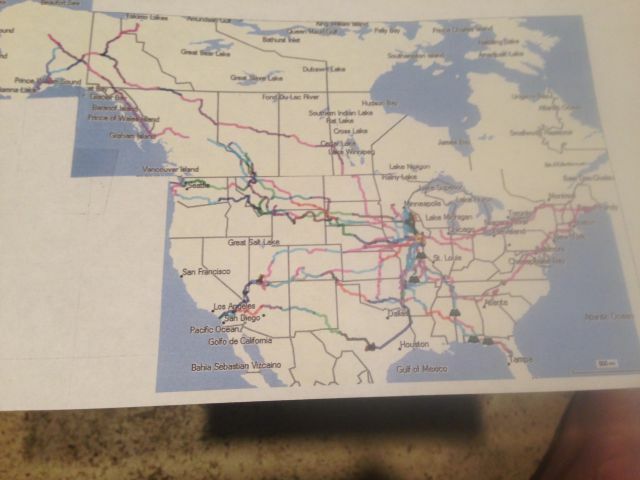 We plan to drive our '22 to Edmonton and other points south of there this next summer. We may be close to your area on our way up; perhaps we can have a cup of coffee together if you are around. 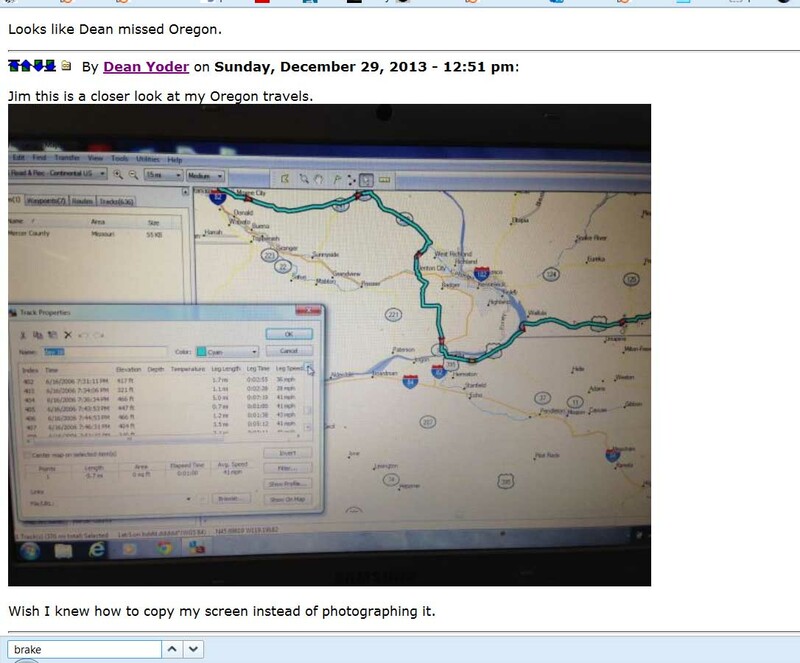 Looks like Dean missed Oregon. Jim this is a closer look at my Oregon travels. Wish I knew how to copy my screen instead of photographing it. You are correct. It is on My bucket list. If you or any one else is in my aria Please give me a call. I use an older Garmin program to down load the tracks. MapSource, I think they have a newer program now. You can also do this with your Smart Phone using the SpeedoMeter App. At least in Windows you can copy what is on your screen by pressing the "Print Screen" button on your keyboard and then pasting the captured image into another application (like a word processor or photo editor). Here is a cropped version of this screen"
If you are using Windows 7 or above it comes with Snipping tool. It does what you want.